Newly redesigned King of the Jungle is ready to roar! 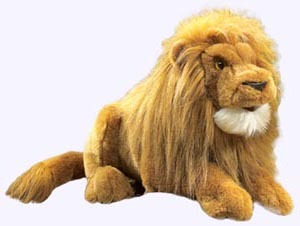 This 16 inch beast will proudly reign with its soft-and-fluffy mane and stoic pose. Sometimes even the KING needs help ... and little friends may prove to be GREAT friends. In Jerry Pinkney's stunningly rendered wordless adaptation of one of Aesop's most beloved fables, an unlikely pair learn that no act of kindness is ever wasted. Hardcover Wordless Picture Book. All Ages. 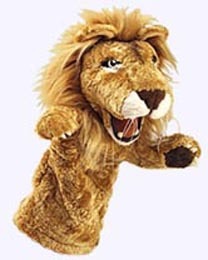 Perfect for Toddlers small hands, this little 8" Lion will bring many hours of imaginative play as they listen to stories of the King of the Jungle. Miss Merriweather, the head librarian, is very particular about rules in the library. No running allowed. And you must be quiet. 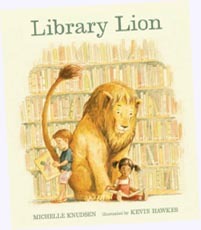 But when a lion comes to the library one day, no one is sure what to do. There aren't any rules about lions in the library. And, as it turns out, this lion seems very well suited to library visiting. His big feet are quiet on the library floor. He makes a comfy backrest for the children at story hour. And he never roars in the library, at least not anymore. 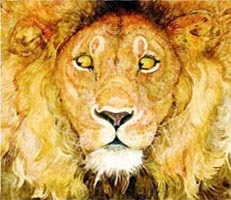 But when something terrible happens, the lion quickly comes to the rescue in the only way he knows how. Aurhor Michelle Knudsen, Illustrator Kevin Hawkes. Hardcover Picture Book. Ages 4 - 8.